Light colored rags help to work cleanly, ideal for example for car body shops, assembly companies, joiners, etc. It is a perfect alternative to cleaning paper. The light colored cotton rags are made of clothing that can no longer be worn, think of washed and recycled polo's. But also thin T-shirts and jogging suits. Because of the light colored cotton cleaning rags, they are soft and absorb oil and water well. 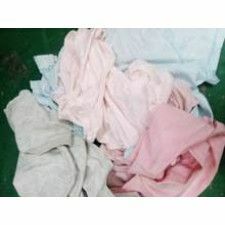 That is why the light colored cotton rags are easy to use in the industry, but also lacquer companies and assembly companies and printing companies. In addition, they are of course free of buttons, zippers and the like, so they will not leave scratches. In this category you will find light colored cotton rags, also called lightly colored polishing rags. 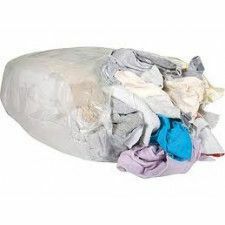 Here the rags are sorted by color and the lighter colors are represented in this category. The light colored polishing rags are known for their ability to absorb a lot of liquid. 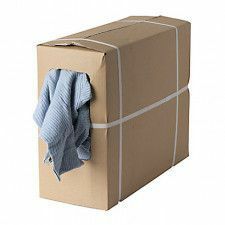 The brightly colored cleaning rags are available in boxes of 10 kilo and bags of 10 kilo or 25 kilo. 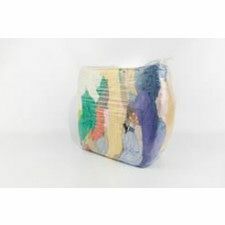 The lightly colored polishing rags are colourfast and do not give off and are well suited for coarse soiling.